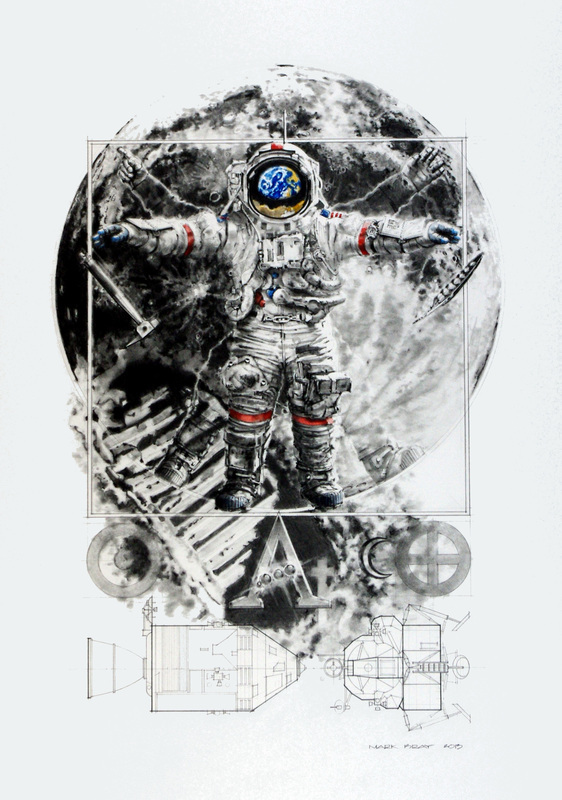 The Art, The Science and The Faith of the Apollo space program. Using Da Vinci's Vitruvian Man as inspiration - I set out to create a piece that represented the enormous effort required by thousands of individuals to put man on the moon. 2015 - Selected for the Smithsonian's National Air and Space Museums "Imagining Spacewalks" Project - Link to their Tumblr page. 2013 - ASAA 27th International Aerospace Art Exhibition ... James V. Roy Jr. Award (Best of the Best among ASAA member entries). Original is available. Please use the Contact link above for more information.